← i have a question(s). There have been many times I have publicly shared snippets of my life; 354 times to be exact. 354 is also the number of posts I have written since I first started to blog. In case you did not know, Red Oak Lines first started as a way for me to track my life, dreams, and goals. Then, I used it as a way to update my family and friends with what I was up to. Now, it’s all of that plus a compilation of my art work. Dreams and goals: To inspire others to use creating as therapy. Update: Recently got bit by a spider THREE times. Itches and hurts like crazy! Current Art Work: Finished a handful of projects that I want to share. I love this first layout because my cousin’s shirt matches these Urban Swank papers. It’s just so pretty, and I love the vibrant color scheme to this one. When I was in Texas earlier this month, I made sure to pick up the latest from Basic Grey. Want to see how cute one of their newest lines is?! Is it just me or is Maui just as a cute as that paper line?! Okay, fine. I’m totally biased, but I love Maui’s infamous guilt face. I picked white chipboard letters for my title because I did not want it to stand out from the rest of my page. I intended for my viewers to focus their attention to the black and white photos. Did I manage to get you to look at the photos first? 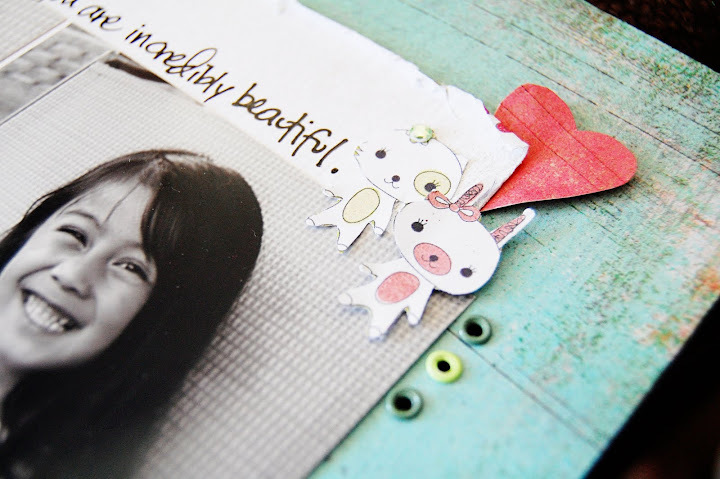 Some scrappy links to check out: Scrap about some of your favorite things. There’s a new challenge posted. Imaginisce is about to release another fun line. Want to be one of the first to get it?! Click here. Zutter has got something fun planned later this week, and so does Kiki Art. Okay, that’s all I have for scrappy inspiration for today. One of the kiddos' favorite toys - Henry the Squirrel. "I love summertime. Sunbathing feels oh-so-good!" How do you say no to that face?! Those were just a few of the pictures that I have recently taken. Summer is full speed ahead, and I just know that there are going to be plenty more picture opportunities to come! …so was that 354 sentences yet?! Probably not, hehe. love ur new projects, sarah! 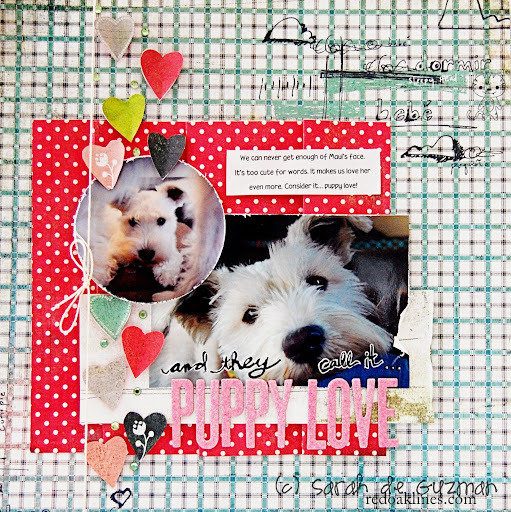 Really wonderful layouts – love the softness of the last one – the white alphas are just right. Such cute pix of the puppers. Thanks for sharing your thoughts and have a great week! That’s a lot of blogging! I love your layouts, and now I need that BG in my life. 🙂 I’m glad Hilo is doing better! Love this post!!! The layouts are amazing as always…and yes, my eye was drawn to the b&w photos first!!! Beautiful:) Love those little favor bags too, and great pictures….can’t wait to see more. Preciosos tus trabajos, los colores, los papeles, todo! Muy buenas las fotos de tu mascota, me encanta! Love the new layouts. Maui and hilo look like they are having a blast this week. One more day to go. So sleepy. I absolutely love these LOs…I really like the dimension you created in that first one and the one with the white title is perfect. Definitely made me look at the photos first. Gotta try that myself. ps. Thanks for checking in on me and reminding me there’s good people out there still. You rock x 354! PS I have my fingers crossed you teach an online class. I LOVE your work. It’ simple enough to lift, has fabulous colors and is so CUTE! Beautiful LO’s, adorable pups, and great post! I love reading your blog and it doesn’t matter if you post about scrapping, life, or random numbers…..it does not matter one bit…I just need my daily dose of Sarah:) Have I told you lately that I think you are amazing;)? love all the new projects, and photos. 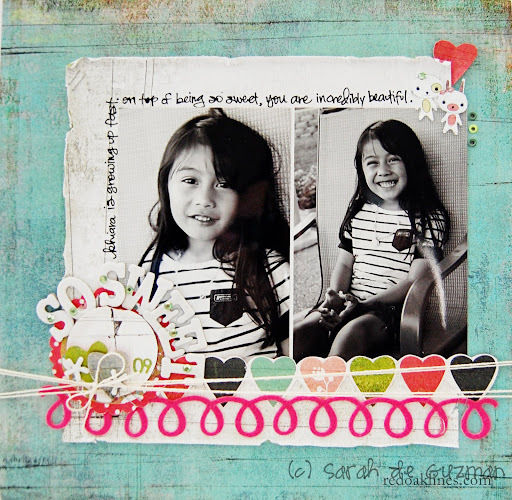 Sarah I totally love these LO’s, great paper, great pics and love the design!!! And you know I love to see your furbabies!! We don’t buy stuffed animals for Sjors cause he eats them, silly dog!! Love the new layouts. Maui and Hilo look like they are having a blast! I am so happy happy they are doing well. Sunburns, shot reactions – poor babies! The black and white photos just POP!!!! Thanks for sharing and inspiring! Oh Sarah….what a great post!!!! I just adore each and every one of these creations!!!! SO PERFECT!!!! I adore the love and the detail that you put into each piece of ART that you create!!! Thanks for the wonderful comments that you leave for me…I just adore you and appreciate you taking your time to say HI!!!! your furbabies are SO cute! And I love the bright, happy layouts! Happy 354 posts, sarah! love the pics, and I love your projects! i especially adore how bright and fun that first LO is! I love your most recent layouts! Wow! You have been one busy lady. I really liked the idea of using the white letters with the black and photos. 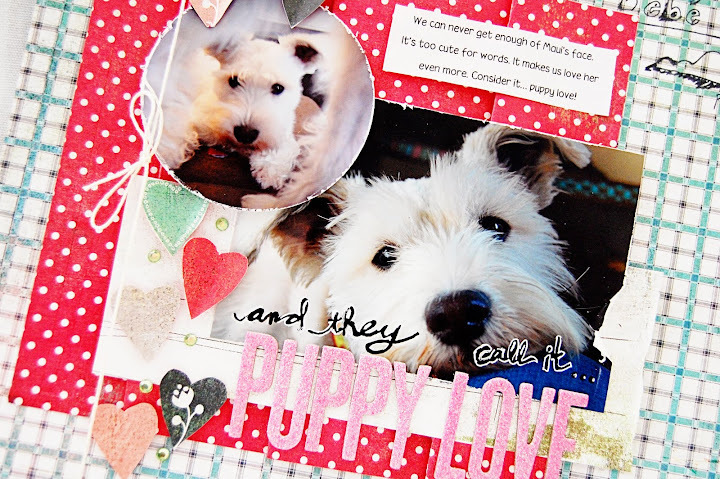 amazing, love the puppy love layout as well as the other two and the bags are super cute. Can’t wait for your summer pics. I can not wait until our paths cross again.. Okay, so I’m positively in LOVE with your last two layouts! 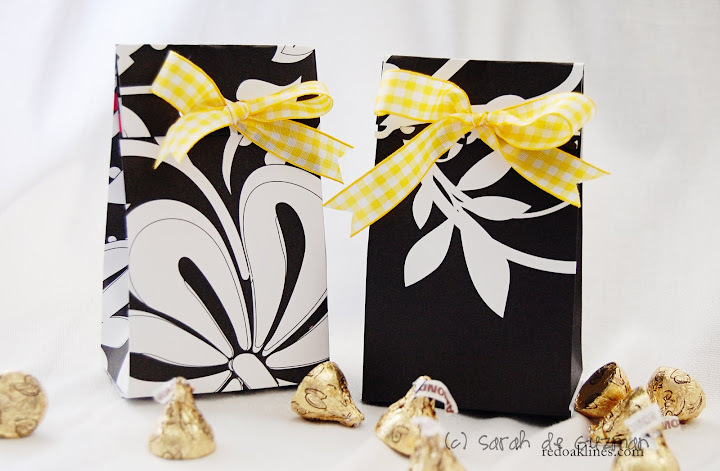 And I JUST made a bag like your favour bags, today – for father’s day! 🙂 Using some Bo Bunny! Your layouts are great. I always love them. Got a kick out of seeing Henry. The boys have got the squirrels as well. They love them, although Cupid enjoys playing fetch with it more than digging it out of the tree trunk. LOL.